Lectures delivered by invited renowned personalities. Teaching through PPTs and prepared charts. Incentives to students topping in the class. Extra attention of weak students. Careful Faculty Selection and Emphasis on very senior faculty. 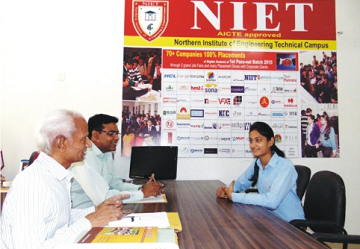 Preparing students for competitive examinations like GATE, IES, PSUs etc. Emphasis on improving Communication Skills through Group Discussions on current affairs. Technical Innovative Projects by students. Seminar presentation by students through PPT. 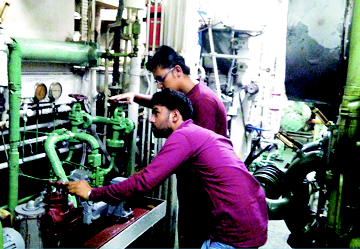 Assembling of important Industrial Machinery by the students. To face real life situations through mock interviews. Career Awareness and Soft Skills Programmes by Industry Professionals. Encouraging all students to observe Ocean Research by facilitating Cruise participation atleast of 3 weeks at NO COST OF THE STUDENTS. Regular Workshops for Hand on Practice. Encouraging students to come out with creative ideas. Innovation implementable idea provides are suitable rewarded. Encouraging creative ideas for execution and subsequently patenting. All such successful works are funded by the college management. Encouraging students to participate in Cultural Activities, Social Activities and Games & Sports. Habituating students to frequently read Magazine, Technical Journals, News Papers etc. 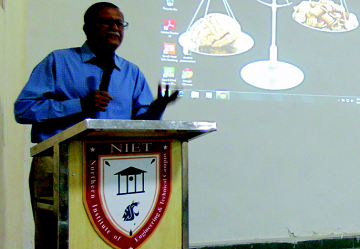 Interaction of NIET students with students of International Universities aids in Personality Growth. BTER / University Top Rankers' Cash Award. Student of Year Award (to final year student for overall performance). Cash Award for Best Attendance (exceeding 90%). Sportsman of the Year Award. Best House Trophy (for overall performance in Sports & Cultural Activities). 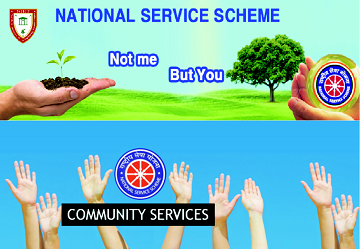 Emphasis on individual attention and care of every student by Institutional Guardian Concept (Mentoring). Parents are frequently updated in connection with attendance, marks and important information of their wards. Emphasis of attendance and Discipline.